If you think of influencer marketing, you may think it’s a new trend. But that’s not exactly true. Earlier, brands worked with famous celebrities, sports personalities, or thought leaders to promote their products. It was the same idea. But with the internet and social media, the faces of this type of marketing have changed. Now we see ordinary people and everyday consumers building massive followings in different niches. These are the influencers to whom brands are shifting their attention. These influencers are generally everyday people like you and I. But they have massive numbers of followers on social media platforms. Audiences can relate more to the voices of influencers rather than big celebrities. Hence, brands are teaming up with influencers who are more relevant to their industries to promote their products or services. According to The State of Influencer Marketing 2017 by Linqia, in 2016 86% of companies reportedly used influencer marketing. Out of them, 77% used it for driving engagement, and 56% for generating traffic. 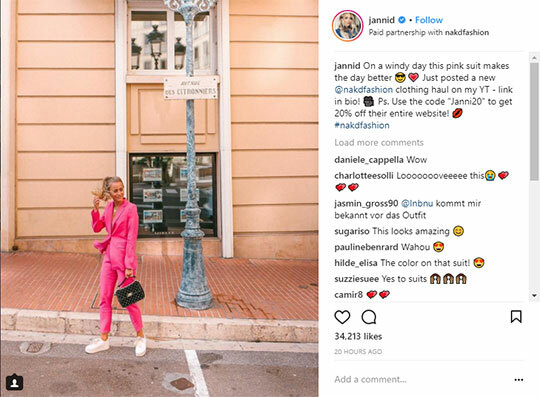 By encouraging people to engage with a brand and visit the brand’s website, influencers have been able to drive many consumers towards a purchase decision. This post will explain the four most important ways influencers have become the salespeople for e-commerce brands. Influencer marketing is very different from the traditional marketing methods. Traditional marketing tends to be a bit pushy. But influencers promoting your products seem more natural. And this the best thing about influencer marketing. With traditional marketing, advertisements are an important and popular medium. But it can get boring to watch the same ads over and over again. Consumers can get easily annoyed by seeing the same message repeatedly. Plus, too many ads can slow down the website browsing speed on mobiles. It also becomes difficult to navigate sites on a desktop. That is why more than 60% of people use ad blockers. While browsing through websites, people want as few interruptions as possible. But with influencers, consumers follow them by choice. They manually signed up to view the influencer’s content. Therefore, every time an influencer posts something on social media or on their blog, their followers are excited to check it out. That is why content shared by influencers never looks spammy or pushy. To effectively implement this tactic, you need to ensure that the influencer is relevant to your industry. And you should look for influencers who are known to create high-quality content. You can use tools like Grin to find and connect with the right influencers for your campaign. For example, Janni Delér is a fashion and lifestyle blogger from Monaco. She has more than 1 million followers on her Instagram account. As you can see from the screenshot below, she is sharing one of her stylish looks with her followers in a paid partnership with NA-KD Fashion. She also shares a code with her followers to get discounts on the products. The post has received nearly 35K likes. 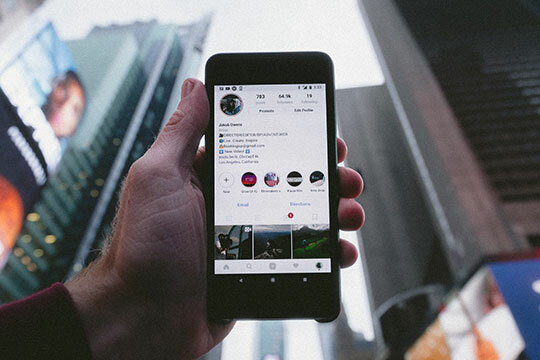 Recommended for you: Instagram Influencer Marketing – Some Tips for Getting Success. People trust people. But that doesn’t mean your customers will trust each and every person they come across. To establish a sense of trust within your target customers, it takes a lot of time and effort. But an influencer has already done that by developing content that is original, authentic, and relatable. These are the qualities that keep their followers engaged and win their trust. This is exactly what you, as a brand, want. You want audiences to trust your product and buy it. But it’s not always easy to achieve that goal. That’s where influencers come in, with their voice of authority and the trust they’ve built with their followers. 40% of consumers were influenced by a single influencer tweet and made a purchasing decision. This clearly indicates that their followers depend upon influencers for making purchasing decisions. So you need to work with influencers to gain trust and retain customers. Sephora’s community, “Beauty Insider” is an excellent example of winning customers’ trust. Many famous beauty bloggers share their honest feedback on the brand’s products. All the reviews and feedbacks are original and authentic. This it helps to build trust with consumers. Influencer marketing has been proved to be a successful strategy for marketing. The strategy is also very budget friendly. You don’t have to shell out or invest huge amounts of money to achieve your marketing goals. According to Linqia, 39% of marketers are planning to increase their funds for this strategy. In 2018, more than 50% of marketers are planning to invest $25K to $100K per program. You can still successfully implement influence marketing if you are a startup business or if you have a tight budget. All you need to do is collaborate with relevant micro-influencers. According to a Bloglovin’ study, more than 95% of micro-influencers charge less than $1000 for a single post. This is for social platforms like Facebook, Twitter, blogs, and Instagram. 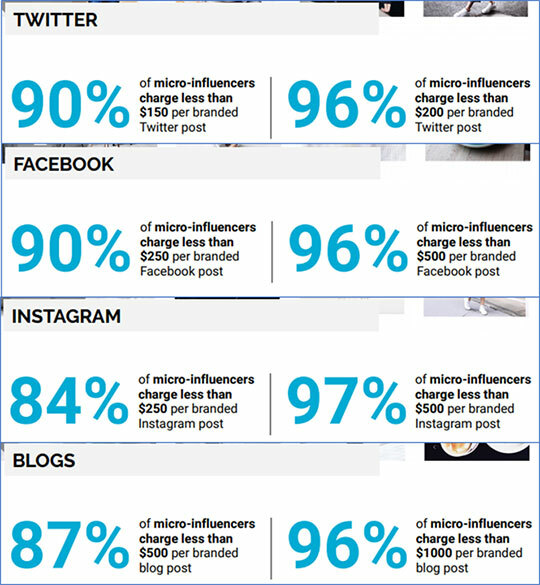 This indicates that working with micro-influencers can save you a lot of money. And even with a small budget, you can achieve successful and great results. For example, Omar El-Takrori is a photographer, with 6.1K subscribers on his YouTube channel. His tutorial video on using Adobe Lightroom gained more than 70K views. This shows that even influencers with a small following can give you the desired results. One of the most interesting attributes of influencer marketing is that you can find influencers for every possible industry. You can find influencers in every category – ranging from the fashion and beauty industries to the tech and software. There are influencers in education, travel, retail, and food industries. All you need to do is identify influencers relevant to your industry and collaborate with them to promote your products. Let’s take examples from two totally different industries. Samantha Jones is a YouTuber with 54K followers. She posts videos related to beauty tips, makeup tutorials, and reviews of new makeup products. Last year, she posted a video review of Maybelline’s Inti-Matte lipsticks. And to date, that video has nearly 65k views. On the other hand, Flo and Stefan have a YouTube channel and are experts in technology. They have 306K subscribers on their YouTube channel. They did a detailed review video on Huawei Mate 10 Pro’s camera. To date, the video has been watched by more than 120K viewers. From the above examples, it is evident enough that any business can venture into influencer marketing and work with influencers. In contrast to other types of marketing strategies, influencer marketing is universal. You may also like: Is Influencer Marketing the Future of Marketing? (Infographic). It doesn’t matter which industry you belong to, you can always find influencers who are willing to work with you. Influencers can personalize your marketing campaign, which triggers high traffic, sales, and conversion rates. In addition to the advantages, this strategy can be implemented regardless of how big (or small) your budget is. Influencers can reach and tap into markets that are other, not easy to win over. That is why influencers are becoming the ideal salespeople for brands. If you know any other ways influencers are becoming salespeople for e-commerce brands, let us know in the comments. 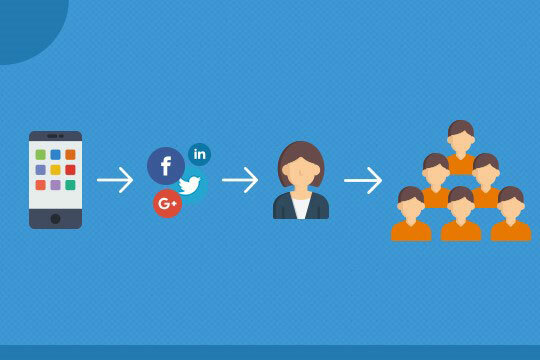 How to Successfully Create an Influencer Marketing Campaign for ECommerce?